Home → Food & Beverage → Child of Tree – Secret for Japanese longevity? Child of Tree – Secret for Japanese longevity? In Auckland the rainy winter season has set in, and along the usual route for my daily walk, I see a lot of mushrooms on the lawns in the neighbourhood. Ahhh, cute kinoko! Ki-no-ko in Japanese means ‘child of tree’. I miss the variety of mushrooms readily available in Japanese supermarkets and greengrocers. 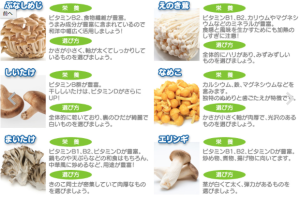 Some of them are reaching here, such as shiitake and enoki. 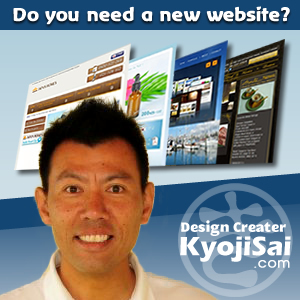 Japan has about 4000 different kinds of mushrooms and about 400 are edible. (Warning: In the woods you often find mushrooms, some of which are obviously poisonous but others can be too, so don’t harvest them.) With super low calories and containing vitamins and minerals, they are hailed for their anti-bacterial, anti-viral, and anti-cancer properties. Researches have shown that the areas where people eat mushrooms regularly have lower death rates from cancer. Japanese longevity (No. 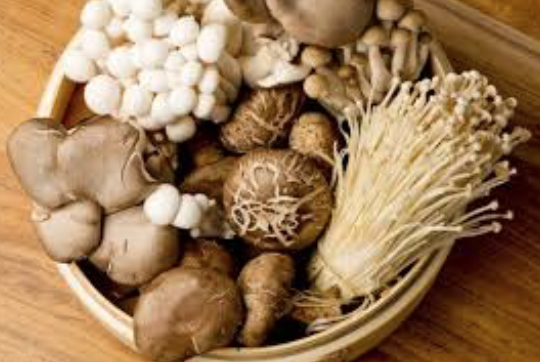 1 in the world) can be attributed to many factors such as eating fish and smaller meal portions, but mushrooms can be another. 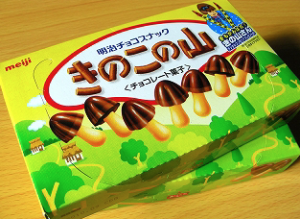 Kinoko no Yama (mountain of mushrooms) is a popular snack shaped like mushrooms with chocolate top. They are very cute and make great souvenirs from Japan, but not for health reasons.